14-year-old Advay Ramesh from Chennai glorified India by having won the most coveted Google Community Impact Award 2016. He is the only one from Asia to make his presence felt and steal the show for the innovative device that he created to help fishermen stay safe at sea, in the Google Science Fair 2016. Advay Ramesh is one of the five Google Community Impact Award winners among the 100 regional finalists in the Google Science Fair 2016. Thousands of science and engineering students from over 107 countries came up with their creative ideas, innovations and solutions to participate in the Google Science Fair. The best 100 ideas and solutions, including 14 innovations from Indian students, which can make life better, have been selected. 10th grader Advay Ramesh from National Public in Chennai created a mobile GPS for the sake of fishermen’s safety at sea. The mobile GPS is an epoch-making solution to keep fishermen away from invisible maritime boundary lines which they cross unknowingly sometimes and face troubles consequently. Sea is a source of living for fishermen in India. Advay Ramesh’s technological innovation is inspired by his observation in real life. He felt disheartened to read about the sorry status of Tamil Nadu’s fishermen who are often arrested for unknowingly crossing international maritime boundary lines and imprisoned for a long period of life, in the news. They are levied on high penalties for their release, which further aggravates their economic condition. It motivated the 14-year-old Chennai boy to develop an easy-to-use GPS system to save fishermen from hidden ordeals at sea. The system is a handheld terminal which uses the services provided by the Indian Regional Navigation Satellite System to send alerts to fishermen when they are close to international maritime borders. The system also alerts them about better fishing areas within the national maritime borders. Advay Ramesh’s mobile GPS system can also signal on weather changes so that fishermen can retreat to safety ahead of impending inclement weather at sea. The GPS system is compatible with any handheld mobile device. With the location based alerts, poor fishermen can avoid falling into trouble and save their lives. No wonder why this 10th grader student from the Indian state of Chennai is felicitated with the Google Community Impact Award 2016. 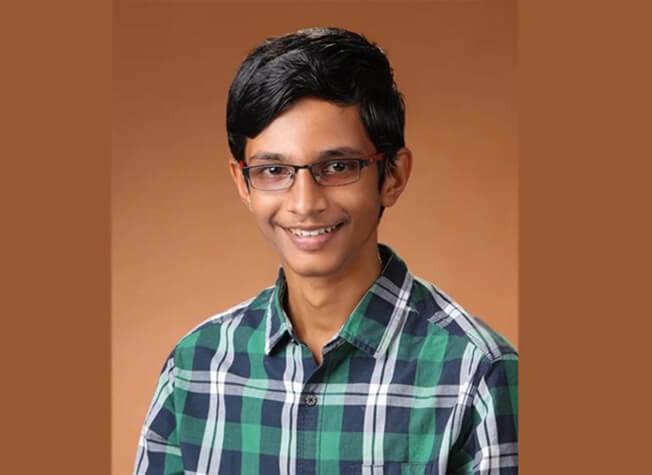 Advay Ramesh is also among the 20 participants who have been shortlisted to compete for a scholarship worth $50,000 at Googleplex in Mountain View, California. The Google Community Impact Award recognizes the ideas, innovations and projects which can make a difference in the lives of people helping and empowering a community technologically. Travel Beats is a digital news portal for Indian Diaspora by IndianEagle, a leading international travel organization for the Indian American community. Subscribe to Travel Beats for interesting stories and latest updates from USA and India.